You can’t ask for weekend weather to line up any better than it did for the closeout of January in the Northwest. Midweek was warm and dumping rain above 9000 feet. By Friday the exiting system was pulling in cold air from the north as well as the next batch of moisture behind it. 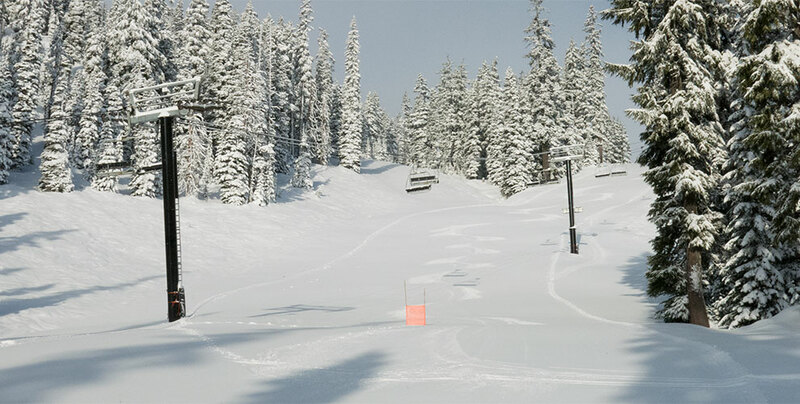 When Kelso and I got to Mt.Hood Meadows Saturday morning, we were surprised to find that Mother Nature had beat expectations and dropped 9-12inches depending on the tree cover and wind affectedness. We scored a beautiful day lapping Heather Canyon. Crowds were far gnarlier than the terrain, as par for the course at Meadows, but for some reason they seemed to stay out of our hair. The snow in Heather remained in good shape for the better part of the day. The ending Meadows shot of Kelso hitting the blind air and powder popper between the trees, was taken on our last lap at 2pm. Plenty of fresh snow still to be found. If our legs were’t so burnt out from hours of aggressive ridding then I’m sure he would have ridden away from that drop. 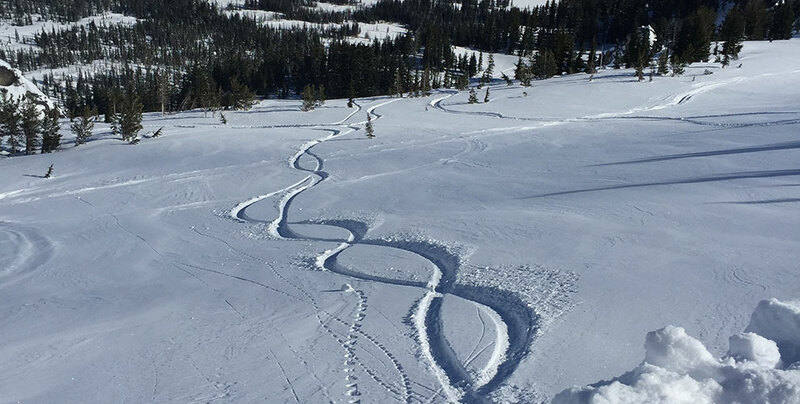 To score a powder day at the resort on the weekend gives a feeling of good fortune but only a pittance in comparison to lucking out in the backcountry where the odds are always stacked against you. On Sunday, Kelso and I met up with Dre for a day on Adams. The conditions we found were unheard of for that mountain. Snow that looked wind affected was only wind touched, still soft and loose when cut through with a board. The sky was clear, wind nonexistent and the snow was lighter and deeper than expected. To top it all off, the low density new snow had magically bonded to the thick ice layer from the rain event only days before. 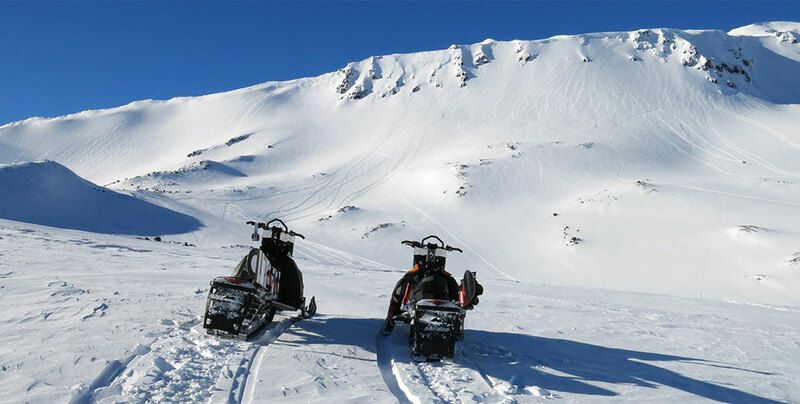 What followed was ripping pow laps on the Ski-Doo chairlifts. We were the first crew back there for the day and had each made two laps by the time the next groups were setup. The law of “give and take” is always in effect though and for our perfect day, we would give to the masses. I have never seen Adams anywhere near that busy. Five different skier/snowboarder groups were riding a similar area together. Stack on a few sled crews rolling ten deep and it made for a chaotic scene at the bottom of the bowl. Dre, Kelso and I were scratching our heads for a minute there, confused as to who sent the party invite? By mid-day the groups had spread out and tensions eased. As K and I packed up the Van at the trailhead in the afternoon sun, having ridden six laps, we chatted about how lucky we were to have scored 2 weekend powder days. Happy guys with a bunch of video clips to look back on.